Increasing the enjoyment of modern train travel and reaching new standards in passenger experience and reliability are key ambitions for Bombardier and Hitachi Rail’s HS2 Rolling Stock bid. 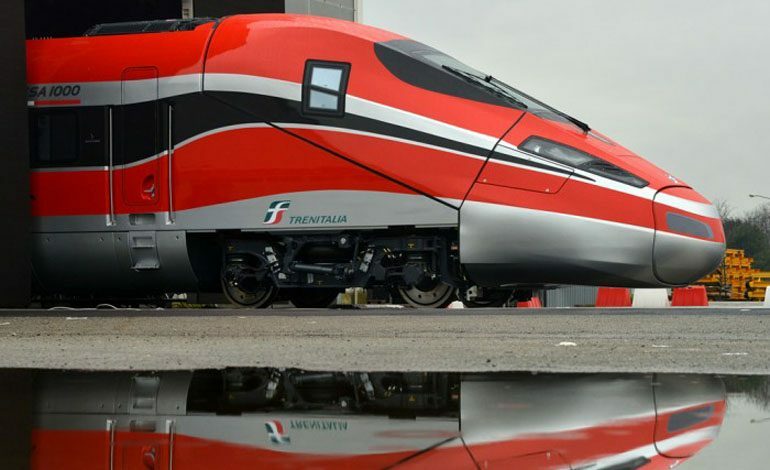 The Bombardier/Hitachi bid team has been setting out how they intend to build on the design and engineering excellence of the hugely successful train they developed together for the Italian high speed rail network – The Frecciarossa 1000. The joint bid team want to build on this successful partnership as they develop a world class offer for the British HS2 fleet. 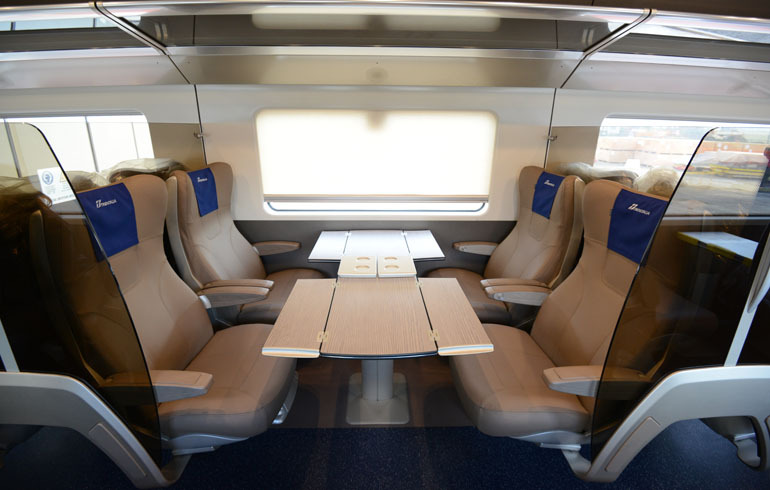 Once the contract has been awarded in March 2020 the successful HS2 bidder will be part of a collaborative design process to shape the final product, with the interiors and passenger offering specified by the Department for Transport and the HS2 franchise operator. Hitachi and Bombardier’s experts from the UK, Italy, Japan and Germany are exploring a wide range of innovations for what will be Britain’s fastest ever train, running at 360km/h. The engineers and designers are modelling ways to make the new train lighter, quieter and more energy efficient, combined with features to maximise comfort and capacity. This engineering excellence could also be supported by a best in class digital offer. Bombardier and Hitachi’s previous high speed train – the Frecciarossa 1000, aka the Red Arrow – has had many firsts since its maiden ride in 2015. Main features include increased accessibility for wheelchair users, free unlimited Wi-Fi technology, exceptional seating comfort and air conditioning distribution at floor, window and ceiling height allowing for optimal thermal comfort. 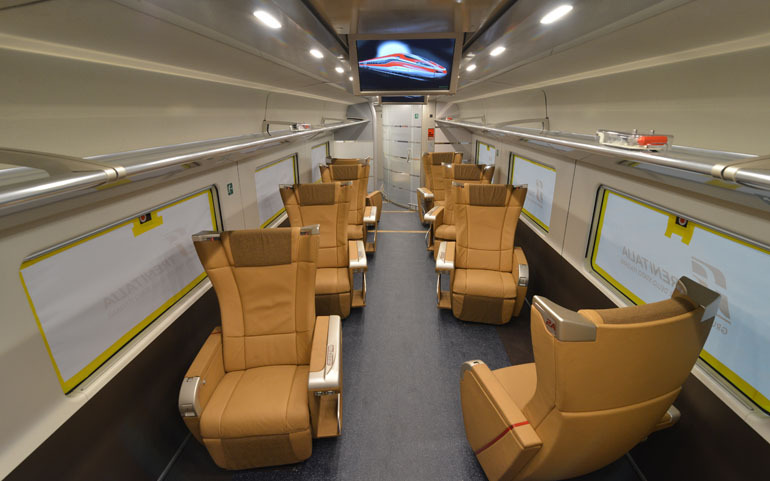 Designed to offer flexible interior layouts, the Italian state railways opted for four different passenger classes aboard the train, including Standard, Premium, Business and Executive, which includes a boardroom facility equipped with a meeting table and 32” monitor to display presentations. And as well as whisking passengers to their destination at the fastest speed in Europe, the Frecciarossa 1000 also offers Italian passengers great comfort and style; with interiors produced by Bertone, the design experts renowned for working with Lamborghini and Aston Martin. The Freciarrossa also led the way in environmental sustainability by using over 90% recycled materials. 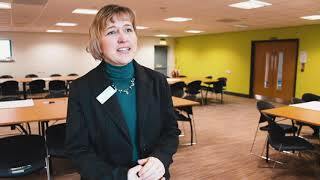 Hitachi Rail managing director Karen Boswell said: “I have no doubt that travelling on HS2 will be a game changer. “As well as introducing much needed rail capacity and stimulating regional growth, the passenger experience for this new network will be exceptional. Phil Hufton, managing director UK for Bombardier Transportation, added: “’HS2 is a golden opportunity to transform Britain by adding capacity and spreading prosperity.